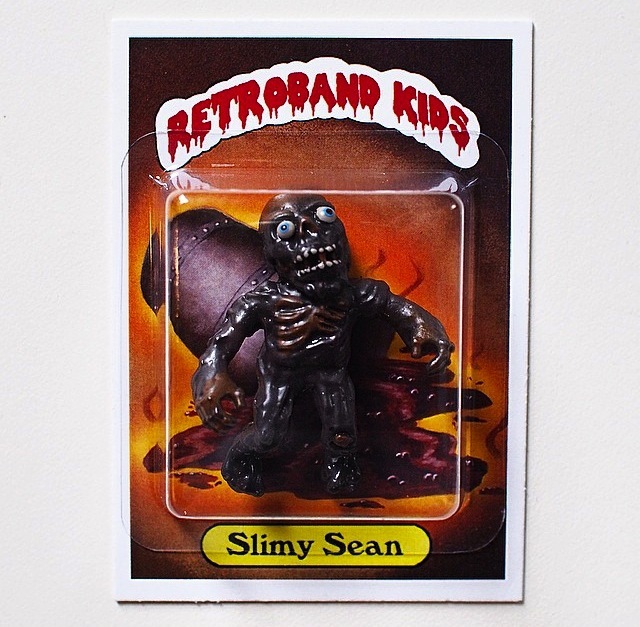 With the SDCC exclusive “Toxic Timmy” going down a storm upon release back in July, Retroband has wasted no time in preparing the second instalment in the new GPK inspired “Retroband Kids” series, proudly presenting Slimy Sean! 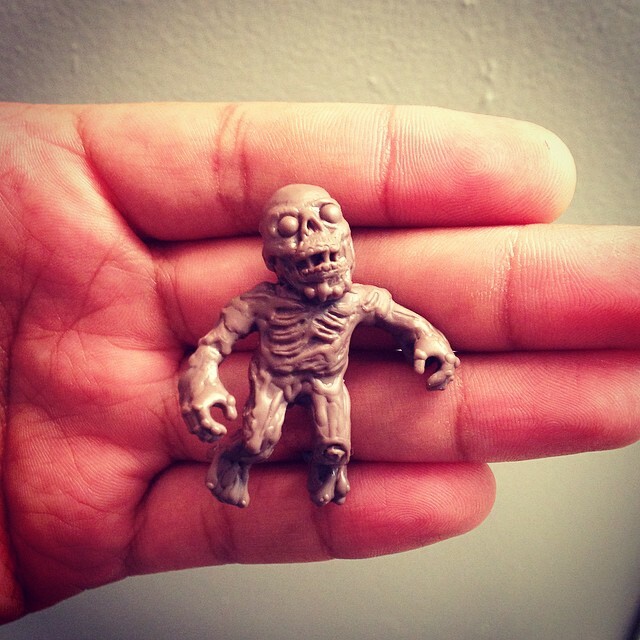 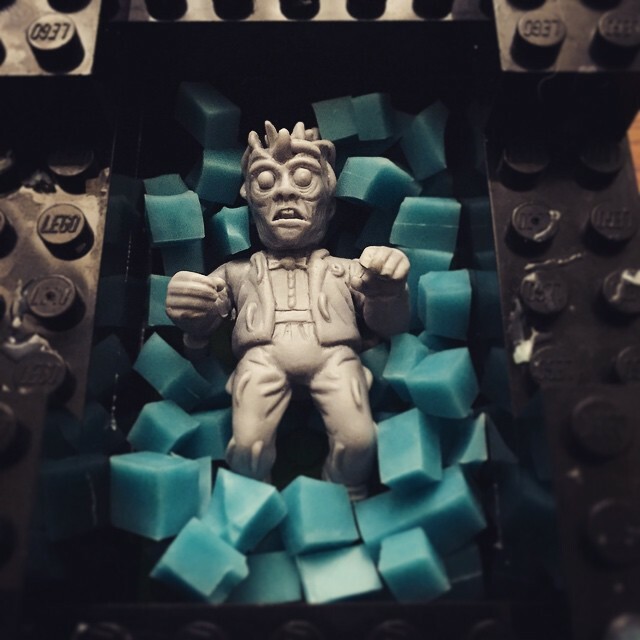 Pictured here as the very first test pull, the 2″ resin figure is likely to be presented in a similar fashion to Timmy, coming hand painted by the artist and packed on an authentic GPK-style trading card blister. 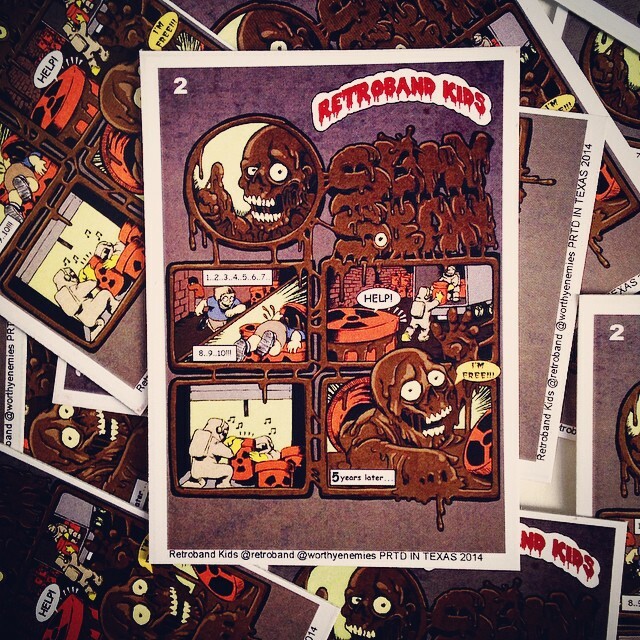 Due to be released at Mondo Con on September 20th alongside a whole host of other Retroband/Worthy Enemies goodies, expect the full lowdown as we get a little closer to the event!